The 2010 Aussie Millions Main Event has a champion. Tyron Krost is keeping the title in Australia for the second straight year. The 23-year-old battled 746 players over five days to take the title home to Sydney, along with the $2 million AUD first-place prize. Eight players took their seats on the final day of play. 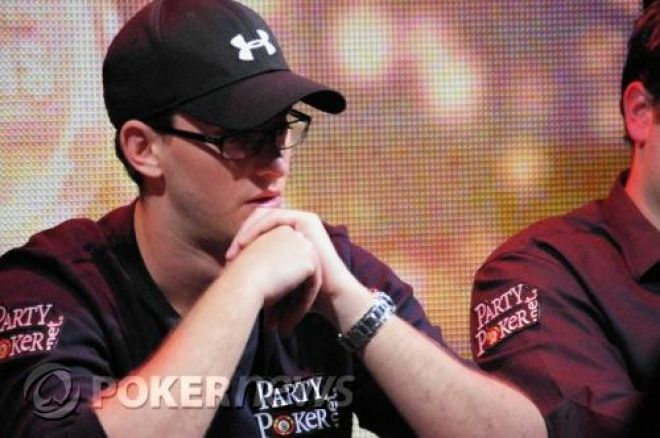 Sorel Mizzi went into the day as the chip leader, with over 40 percent of the chips in play. Annette Obrestad made her way to the final table of the Main Event after finishing 21st in the same event last year and winning Event 4, the $1,100 pot-limit Omaha this year. Also at the final table were Peter Jetten, Kosta Varoxis, Steve Friedlander, Frederik Jensen, and Stephen Shelly. Stephen Shelly, who won his seat to the Main Event through a $22 satellite, was the first to go when his pocket sevens were no match for Tyron Krost's jacks. The board bricked out for Shelly and he was sent home with $125,000 AUD. Krost's next victim was Annette Obrestad. She put her remaining chips in the middle holding ace-jack and was in a race for her tournament life against the pocket sevens of Krost. The flop gave Obrestad the straight draw to go along with her chance at hitting an over card, but the turn and river blanked and "The Huntress" was gone, taking $175,000 AUD with her. The sixth-place finisher was Steve Friedlander, who walked away with $250,000 AUD when his pocket sevens were no good against Kosta Varoxis' big slick. Varoxis turned trip kings and sent Friedlander packing. Krost wasn't done eliminating players after his first two. Peter Jetten fell at the hands of Krost as well. Jetten moved all in holding against Krost's . The board was no help for Jetten and he took home $350,000 AUD for his fifth-place finish. Kostas Varoxis hit the rail in fourth place, good for $450,000 AUD, when Frederik Jensen's pocket deuces held up against Varoxis' ace-six. The chip leader going into the day couldn't hold on to it all day, as Sorel Mizzi was sent home in third place, taking home $715,000 AUD, his largest live score to date. Mizzi was holding pocket sevens to Krost's ace-king. The flop paired Krost's king and the match went heads-up. Frederik Jensen's tournament ended when his took on Krost's . The two paired their king on the flop, but Jensen was outkicked and didn't find any help on the turn or river. His second-place finish was good for $1,100,000 AUD. Be sure and catch the PokerNews Live Reporting Team in mid February for the Party Poker Premier League IV, PokerStars.com EPT Copenhagen, PokerStars.net LAPT Uruguay, and the brand new PokerStars.net North American Poker Tour at The Venetian in Las Vegas and as always follow us on Twitter for up-to-the-minute news.